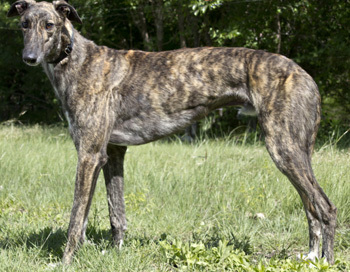 Jamaica, aka Cry Jamaica, is a big 1½-year-old brindle male born in November 2009. 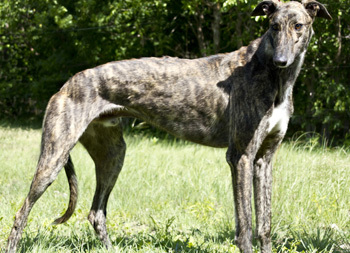 His sire is Gable Diego, making his grand-dam GALT's Samantha. His dam is Keeper Closer. He has no races to his credit and has not been indivdually registered. Jamaica is ready to bring a relaxed island attitude to your home! Jamaica has not yet been tested with cats or small animals.